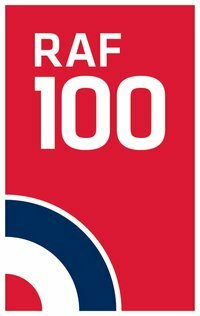 The Royal Air Force will be celebrating its 100th birthday next month. 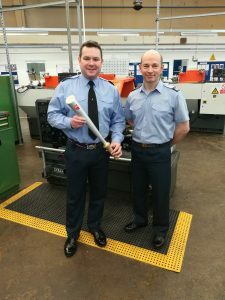 There are many events and activities scheduled during this period including a 100 day relay, using a baton specially designed by the No 4 School of Technical Training at MOD St Athan. 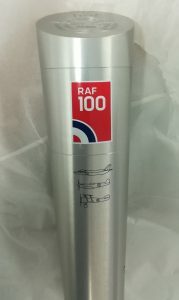 BIE are proud to be part of this special occasion and have used our engraving and anodising services to complete the original design and prepare the baton for it’s long journey ahead; beginning at the Royal Courts of Justice and finishing 100 days later at Horseguard’s Parade.